In two separate collaboration agreements, Sasol has undertaken to promote water conservation and improve treatment technologies and the re-use of waste water in South Africa. The signing ceremony and launch of partnerships took place on Friday, 26 April 2013 at Emerald Casino, Vanderbiljpark. Typical water losses in municipalities vary between 30 and 45%, mostly from ageing distribution systems and broken or leaking plumbing fixtures, such as taps and toilets. Thus, the President of the Republic of South Africa, Jacob Zuma’s call on the nation to reduce water loss by 50% in 2014. 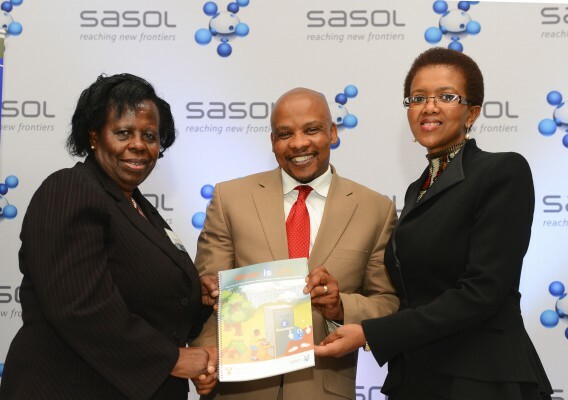 “Sasol’s partnership with the Department of Basic Education in the Free State and the DWA, known as Project Busa Metsi, seeks to minimise water losses at schools and educate learners on the importance of water conservation; especially in the Metsimaholo Municipality. This municipality receives its water from the Vaal River system, together with approximately 40% of South Africans,” said Sasol’s executive director, Nolitha Fakude. More than sixteen schools will benefit from this project. Speaking at the Water Sense Initiative launch, Deputy Minister of Water and Environmental Affairs Rejoice Mabudafhasi said, “the Department of Water Affairs maintains the focus on meeting water loss reduction targets, managing South Africa’s scarce water resources for long-term sustainability, improving the regulatory and institutional environment, spearheading transformation in the water sector and supporting the development of water resources infrastructure”. Mabudafhasi added, “the Department of Water Affairs has been extensively engaging with Business/ Corporate to create private/ public partnerships platforms for business to support and invest in municipal infrastructure to reduce water risks. Sasol has indeed taken forward the call and have partnered with Emfuleni Local Municipality focusing on initiatives to reduce water loss in prioritised areas, education and awareness in the community and schools with regards to water conservation issues and on the development of new or support of existing community plumbing entities”. A partnership between Sasol Technology and the Water Research Commission (WRC) will see both parties collaborate on finding new technologies and opportunities to conserve water in South Africa. Sasol Technology will offer the use of some of their Research and Development (R&D) Piloting facilities in Sasolburg and Secunda to researchers and academics from the WRC for research in conjunction with Sasol Technology teams. This partnership will also see the creation of a joint research commission (JRC) which will oversee and monitor the partnership and seek out new opportunities for collaboration on other water conservation matters. 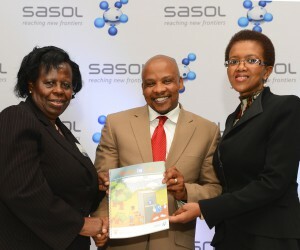 Sasol is also promoting efficient water use in its own operations. The company’s largest operations in South Africa are dependent on the water-stressed Vaal River System, which supplies most of Sasol’s water requirements in South Africa. Sasol further launched a group-wide initiative, Water Sense, which aims to align its water stewardship practices throughout its various operations around the world. It is the platform from which water-related issues are co-ordinated and responded to, to address water security risks, regulatory risks and the increased societal awareness of water becoming a scarce and valued resource.